Three-piece female band Flyfaith have released 'Promise Song', sure to become a favorite for addition into Christmas worship for all ages. 'Promise Song', taken from their album 'All The Reasons Why', simply articulates God's promise of a Savior fulfilled through the birth of Jesus Christ. The lyrics are based on scripture describing who our Savior would be and where he would be born. Moving instrumentals and passionate vocals draw the listener in to remember the true meaning of Christmas. "We pray that through this song people are moved with the same passion, gratitude and heart of worship that we feel towards our amazing God for the gift of Jesus, and that those who are not in a relationship with Jesus Christ will be drawn to Him", says the group. With their tight harmonies and expressive instrumentals, Flyfaith cross multiple genre lines with a sound that truly appeals to all ages. Since the fall of 2000, flyfaith has led worship and played events for churches, conferences, coffee houses, camps, retreats and secular venues. Fueled by the power of God's presence in their lives and their radical passion for music, missions, and making a difference, flyfaith has carried God's message of love and hope throughout North America, to South America, Europe, and East Asia... literally around the world. 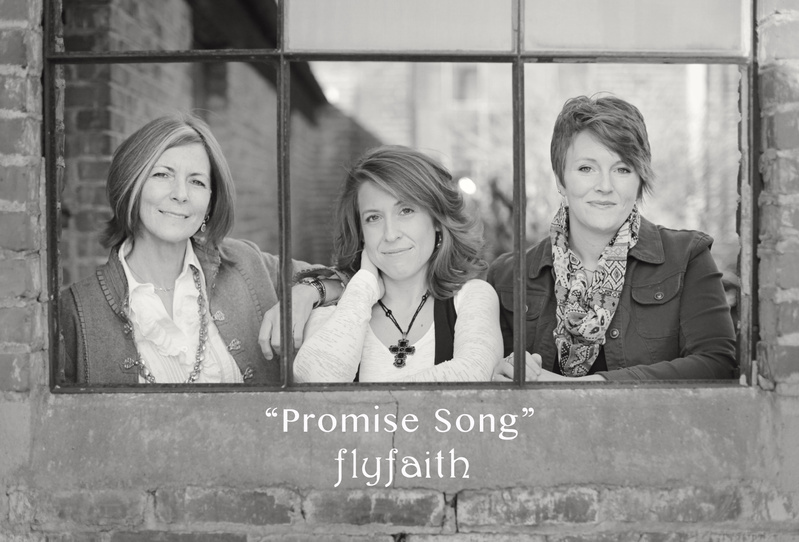 flyfaith, based in Nashville, TN, is Liza Romeo Bates, Sarah Beth Lovell and Cynthia Floyd.